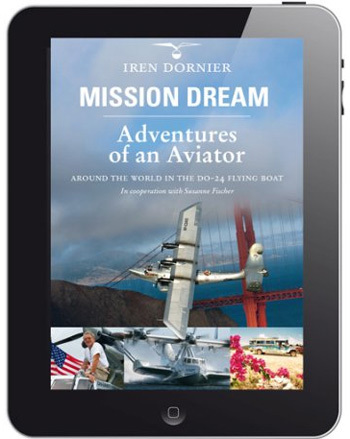 Longtime resident pilot and aircraft designer Iren Dornier—grandson of Claude Dornier, World War II pioneering designer of military aircraft for Germany’s Luftwaffe, is behind the $350-million project, along with some foreign partners who are known 25-seat amphibious aircraft for various uses manufacturers in Clark. 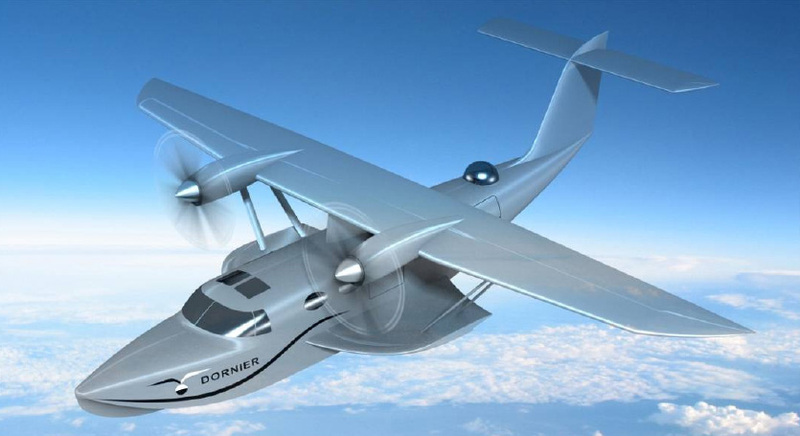 Dornier said that his company aims to produce 25-seat pressurized long-range civilian airplanes which may be used as cargo and passenger transport aircraft that can reach remote areas such as isolated islands. 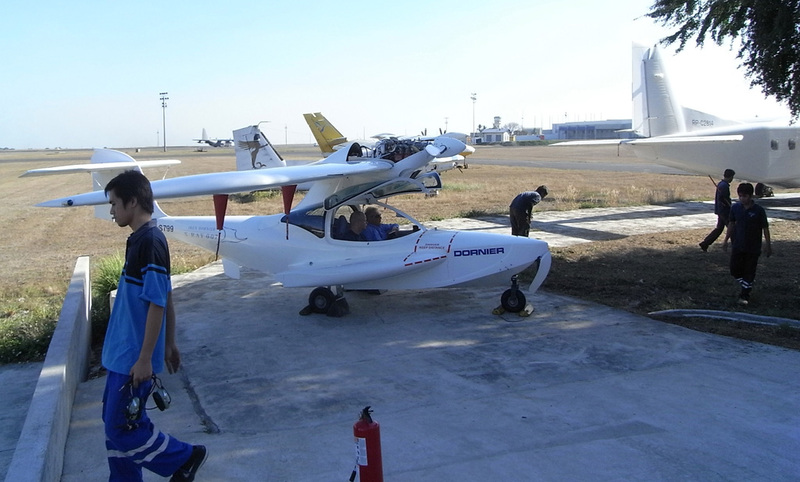 The plane can be used for coast border patrol, anti-drug smuggling, long range patrol, (over the Spratly islands) or for undersea pipeline surveillance where a helicopter has limited range. 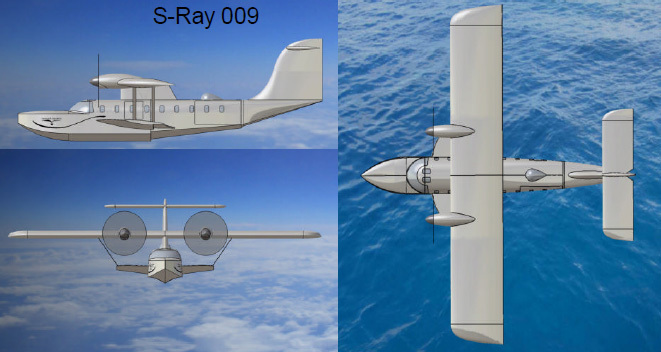 The seaplane dubbed S-Ray 007 is capable of traveling long distance, with an approximate radius of action of 2000 nautical miles. 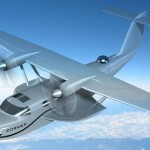 It is equipped with two Pratt and Whitney turbo prop engines. 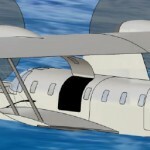 The seaplane can also be converted as firefighter airplane, where it can scoop out thousands of gallons of water within seconds to serve its purpose. 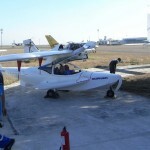 Last year the 25 seat seaplane earlier various was showed on second workshop of FUSETRA in Malta. 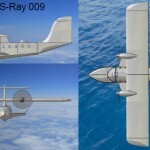 You can see that various named Dornier S-Ray009 at the pictures. 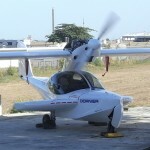 So will be the S 007 Two seat now become avaliable on the marked as certified aircaft? And if so.. when??? wo kann man diese Flugzeug probe fliegen? 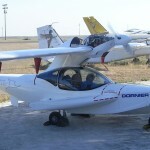 I with my wife and my daughter ,We made a canard aircraft . My field of study is aerospace engineering and my wife’s field of study is chemical engineering.